One of only two men to play Michael Myers in more than one film, George P. Wilbur has been added to the celebrity guest lineup for the Monster-Mania 26 Horror Convention in Maryland this September. 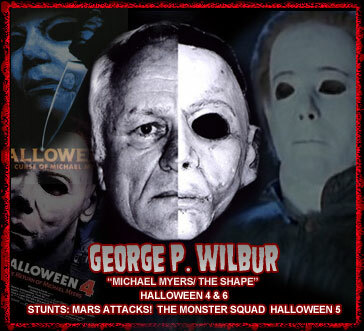 Georg P. Wilbur memorably portrayed The Shape first in Halloween 4: The Return of Michael Myers (1988) and again in Halloween: The Curse of Michael Myers (1996). Wilbur will join other previously announced guests, including Darth Vader himself, David Prowse (Star Wars), and TV’s original Batman, Adam West. Monster-Mania 26 is happening Sept. 27-29 at the Hunt Valley Inn in Hunt Valley, Maryland.